We’ve been designing high performance infrared gas analyzers for more than 30 years, used and trusted by researchers and networks around the world. 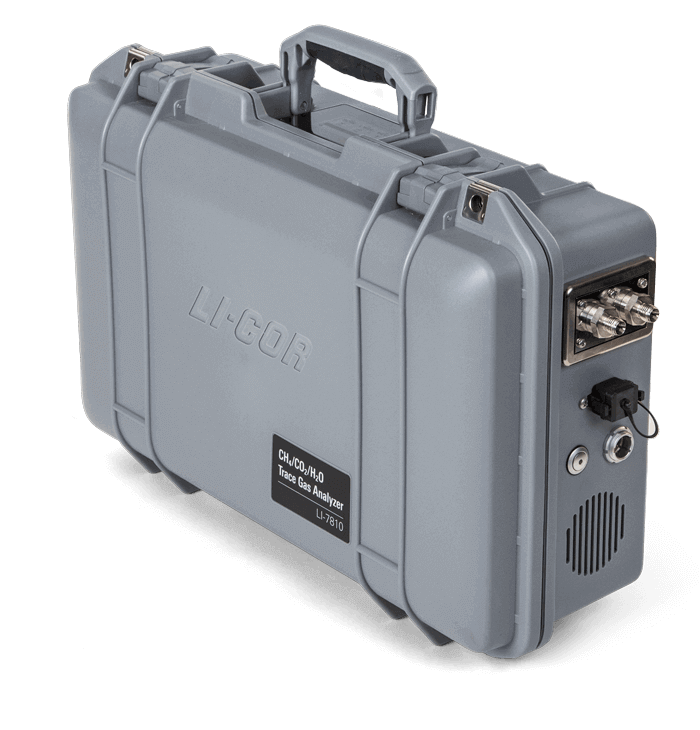 Precise, accurate, and stable, yet still rugged and reliable, LI-COR’s new laser-based trace gas analyzers add a new dimension to trace gas measurements and monitoring. 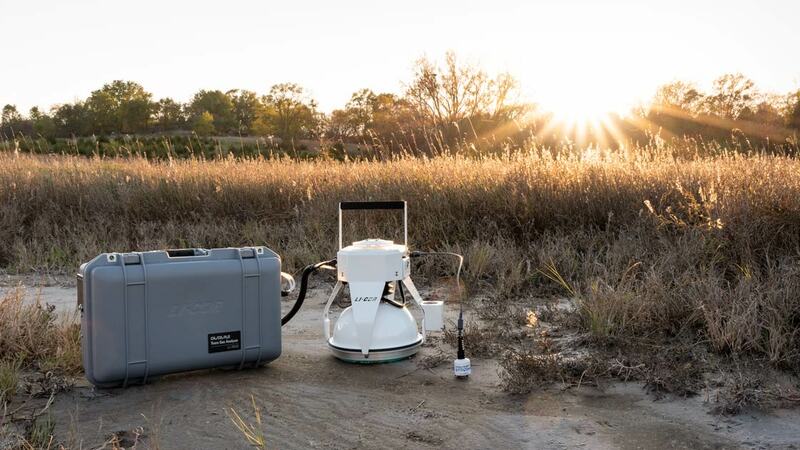 Multiple patented technologies contribute to PreciseTech™ Design of these analyzers, providing exceptional performance for atmospheric and soil gas flux measurements, at a price point that is unmatched in the industry for this type of precision analyzer. Choose the analyzer you need, with options for high precision CO2 or CH4 measurements. Watch as product manager Kristen Minish presents the new LI-7810 CH4/CO2/H2O Trace Gas Analyzer. This 12-minute demonstration includes an overview of the PreciseTech™ Design hardware, user interface software, and a discussion of instrument specifications and research applications. 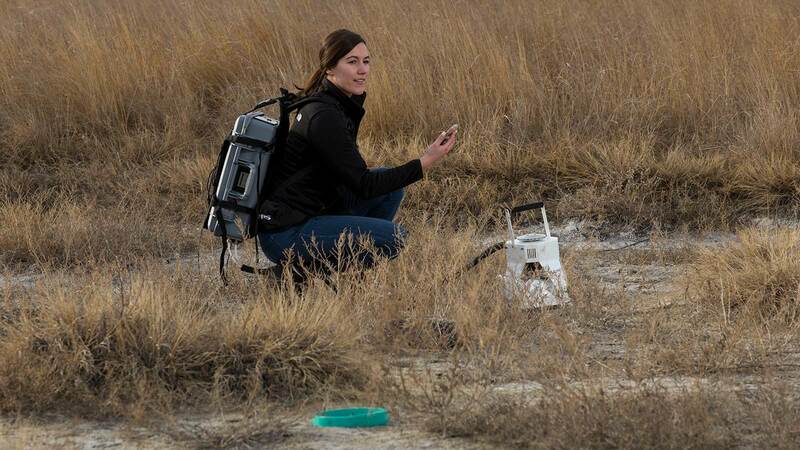 You asked for portable gas analyzers that perform just as well on the lab bench as in the field. You asked for a measurement that can be trusted, whether the analyzer is brand new, or on its third year of measurements. PreciseTech Design brings all of this together in novel, patented laser-based gas analysis technology. The technology behind PreciseTech Design will change the way you measure atmospheric gases and ground-level emissions. But don’t just take our word for it. The data speak for themselves. Figure 1. Methane stability from a prototype LI-7810. This 3-day subset represents a portion of a long-term dataset. The instrument was operated continuously over a 7-day period with a continuous flow of tank gas. 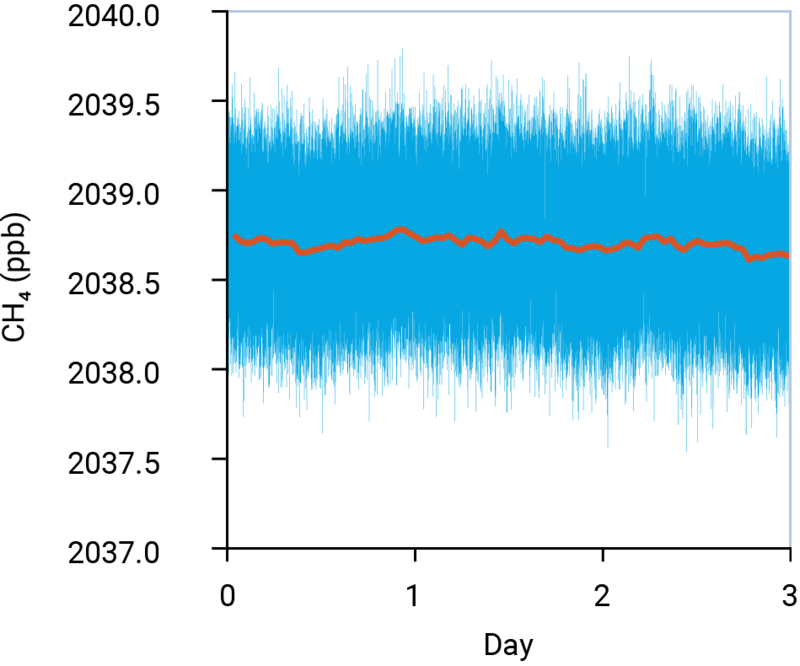 The blue line shows 1-second measurements; the orange line shows a 50-minute block average. 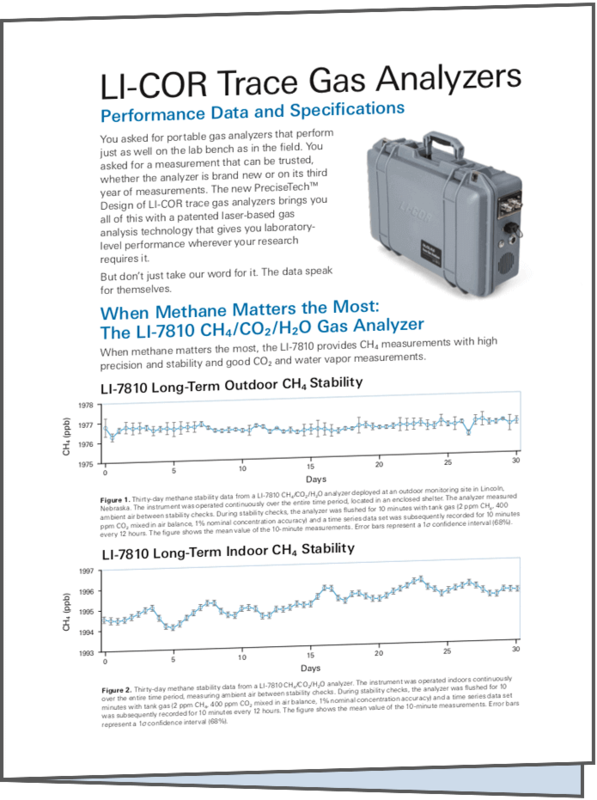 This document presents long-term stability data and Allan deviation plots from LI-7810 CH4/CO2/H2O and LI-7815 CO2/H2O analyzers. Funding is tight, but it shouldn't have to be the major impediment to your important research. 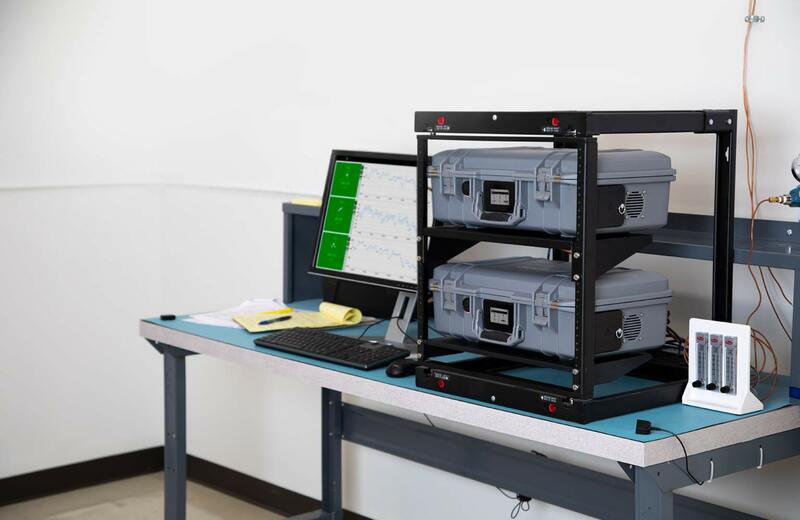 We devoted our efforts toward designing cost-effective analyzers that give you the performance you need, with minimal maintenance requirements now and in the future. Because they’re weather resistant and portable, you’re not limited to a choice between indoor or outdoor applications. 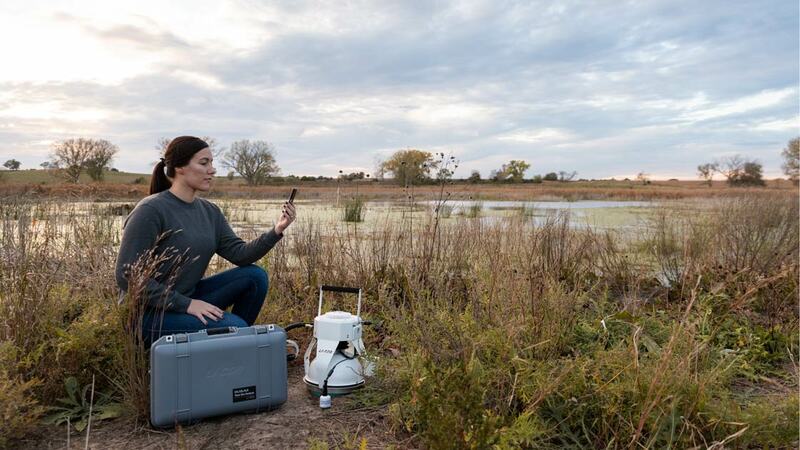 Add an analyzer to your tower for long-term concentration studies, expand your monitoring capabilities across a city or other area of interest, attach flasks for measuring CH4 and/or CO2 evolution of small fruits or animals, or connect a LI-COR Smart Chamber to measure soil gas flux. The PreciseTech Design provides the flexibility to allow the analyzers to be used for a variety of different applications and research. Lose the carts and wagons. The lightweight design and long-lasting rechargeable batteries mean you won’t be tied down with cartloads of equipment. For longer term measurements, or for remote locations, low power requirements mean you can operate the analyzers via solar or AC power. 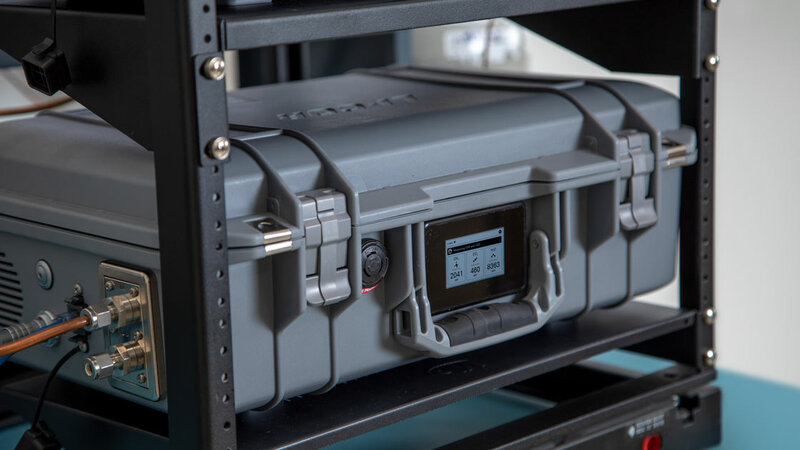 The durable, weather-resistant case requires no cooling apparatus, so there’s no need for additional equipment and elaborate field structures. A simple cover or stand is all that is required. A backpack harness makes for easy transport to remote locations, so you can let your research take you where you want to go. Just connect your sample air tubing and power source, and turn the analyzer on. After warmup, you’ll be collecting data, without hassles. The external, on-board display shows concentration measurements and diagnostic alerts. Each of the analyzers has built-in data storage for one months’ worth of data. If you need more storage, wired Ethernet allows for direct connection to a PC or Ethernet-compatible data logger. Each instrument includes a built-in web server for the ultimate convenience. 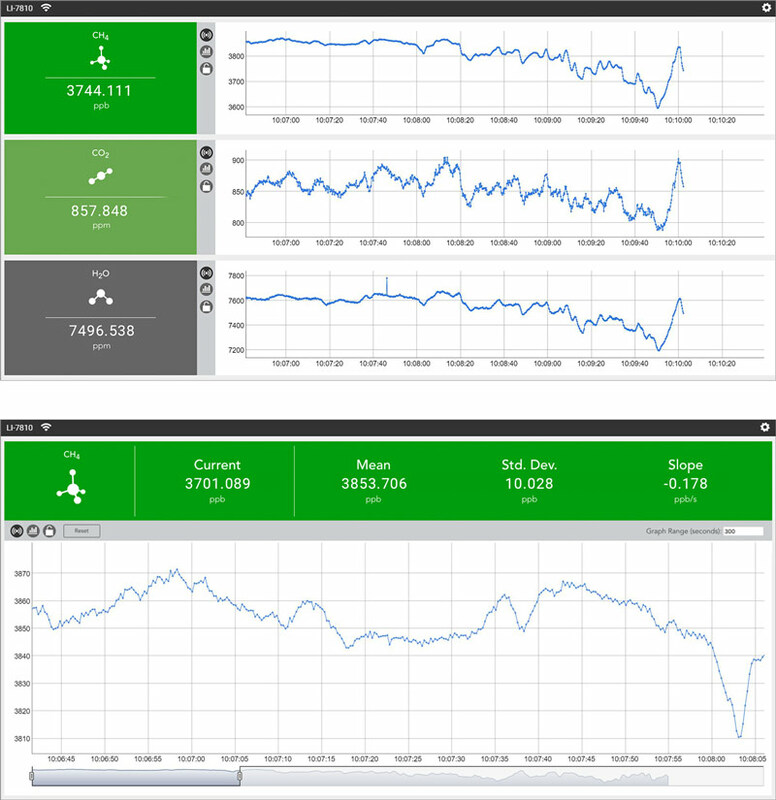 A simple, web browser-based interface makes it easy to connect – just enter the IP address in your browser to see live data and configure the instrument. Because it equipped with Wi-Fi, you can control the instrument and view your data with any Wi-Fi-enabled device, including Smartphones and tablets. If you cannot connect to Wi-Fi, just connect the instrument directly to your computer or network with the Ethernet cable.